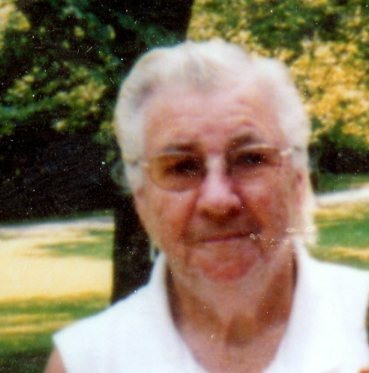 Rose “Dolly” Evelyn Shores, 92, of Terre Haute, Indiana, passed away November 8, 2018. She was born March 19, 1926, in Terre Haute, Indiana to Clarence Bailey and Maude E. (Graham) Bailey. Dolly was a member of Burnett Church. She worked several years in packaging. Dolly loved watching Family Fued on TV, and crafting. Her biggest accomplishment and love was her family. She loved her children, and being a grandmother. Dolly was preceded in death by her husband Leslie “Pete” Shores; her parents; daughter Patty Miller; son Steven Shores; son-in-laws Roger Gates and Harold Pulliam. She is survived by her children Gloria Gates, Rose Pulliam, and Mary Wiram (Frank); 12 grandchildren; 19 great grandchildren; and 6 great - great grandchildren. Funeral services are scheduled for Sunday, November 11, 2018 at 1:00p.m. in Greiner Funeral Home. Visitation will be at the funeral home on Sunday, from 11:00a.m. until service time. Cremation has been chosen after services.